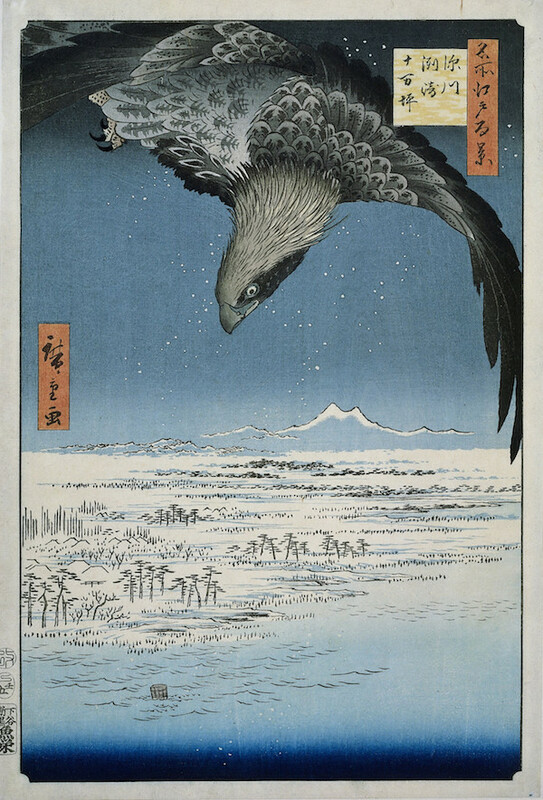 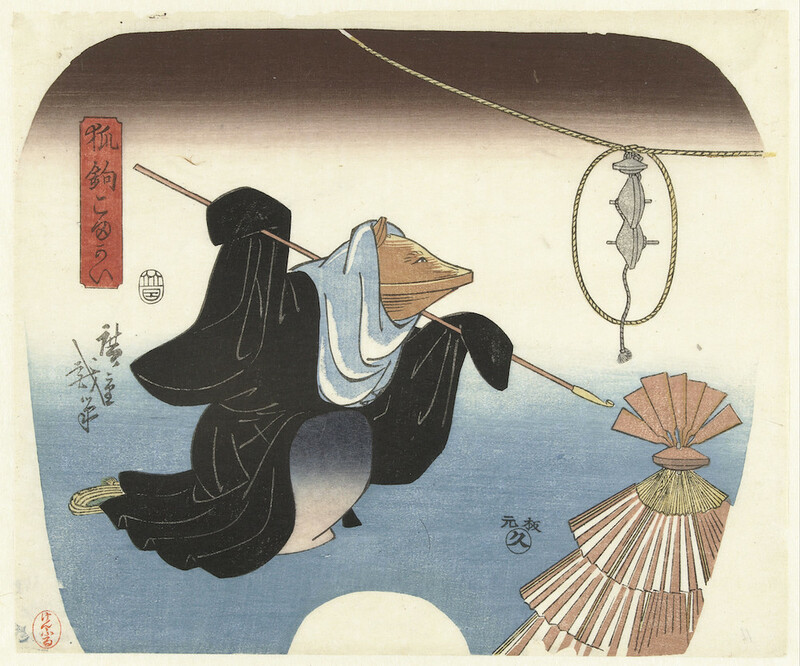 Considered the last great master of the ukiyo-e genre (“pictures of the floating world”), the Japanese artist Utagawa Hiroshige (1797–1858) was a hugely influential figure, not only in his homeland but also on Western painting. 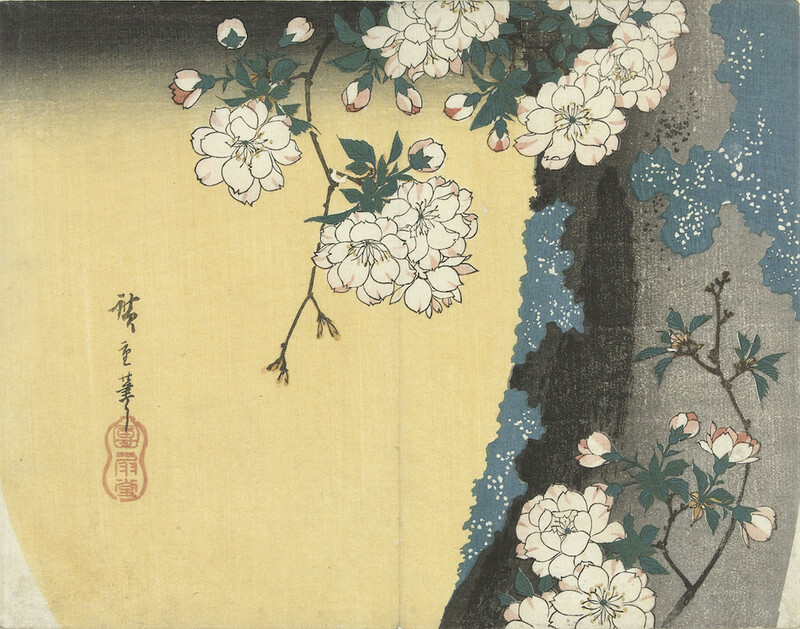 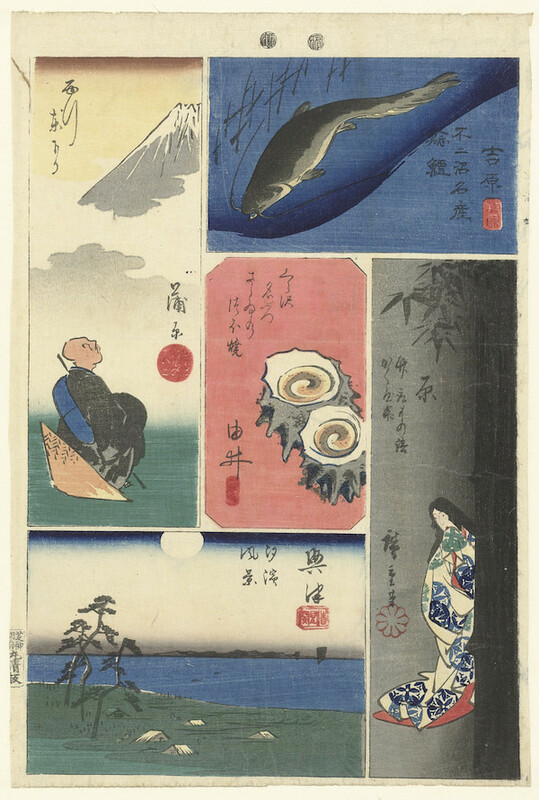 Towards the end of the nineteenth century, as a part of the trend in “Japonism”, European artists such as Monet, Whistler, and Cézanne, looked to Hiroshige’s work for inspiration, and a certain Vincent van Gogh was known to paint copies of his prints. 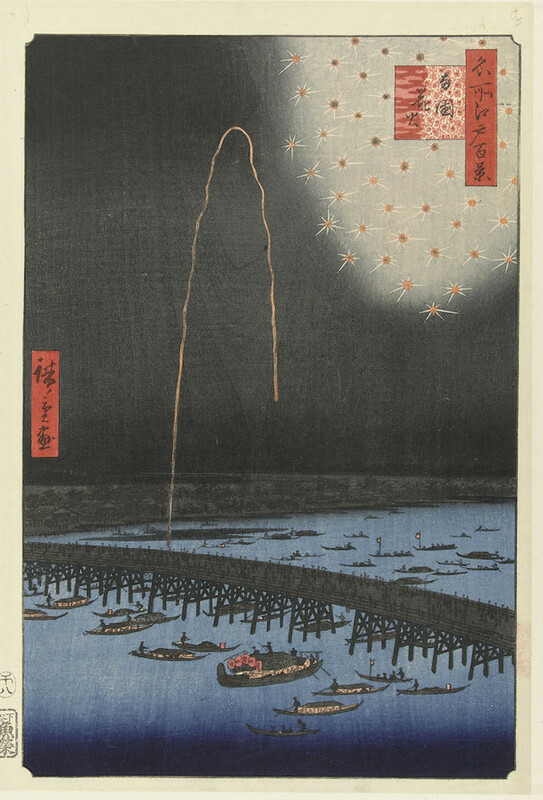 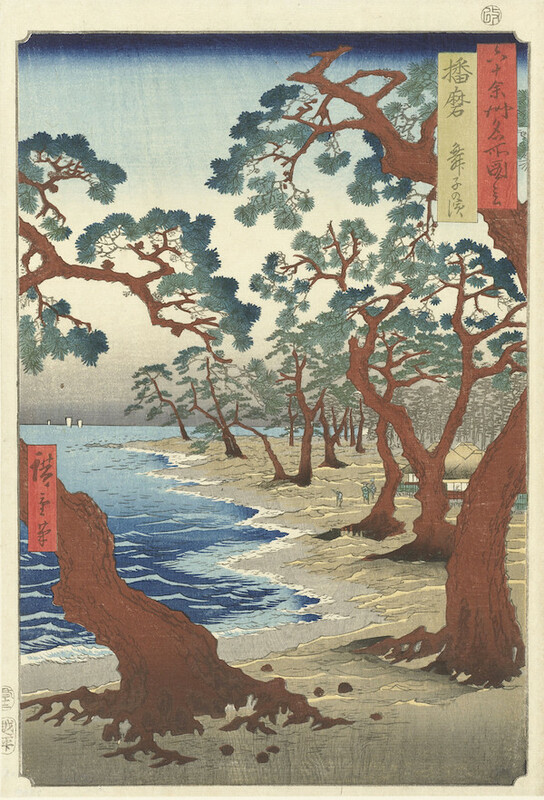 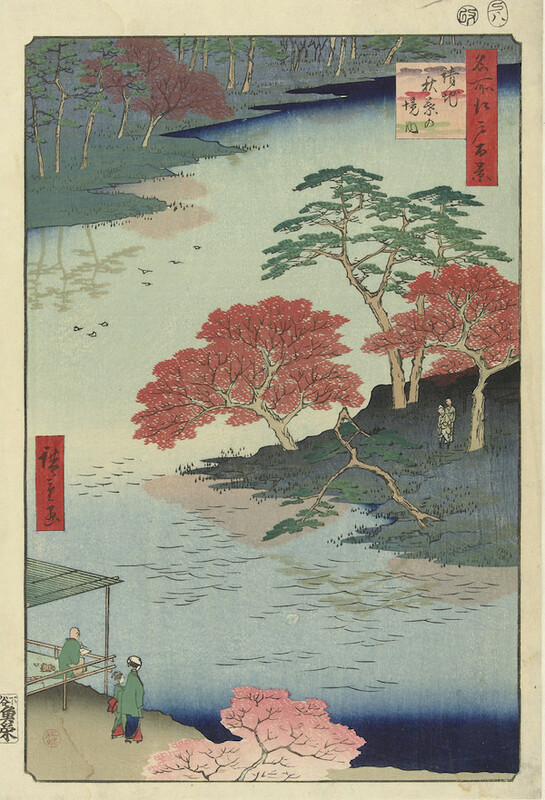 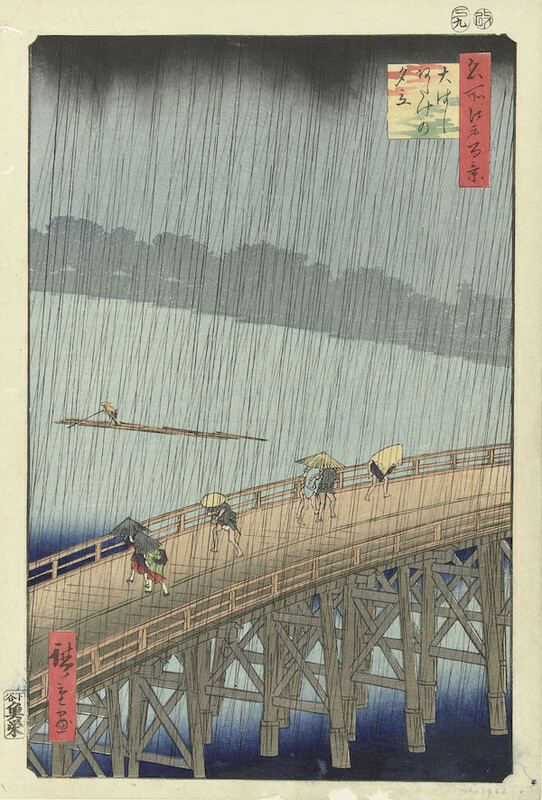 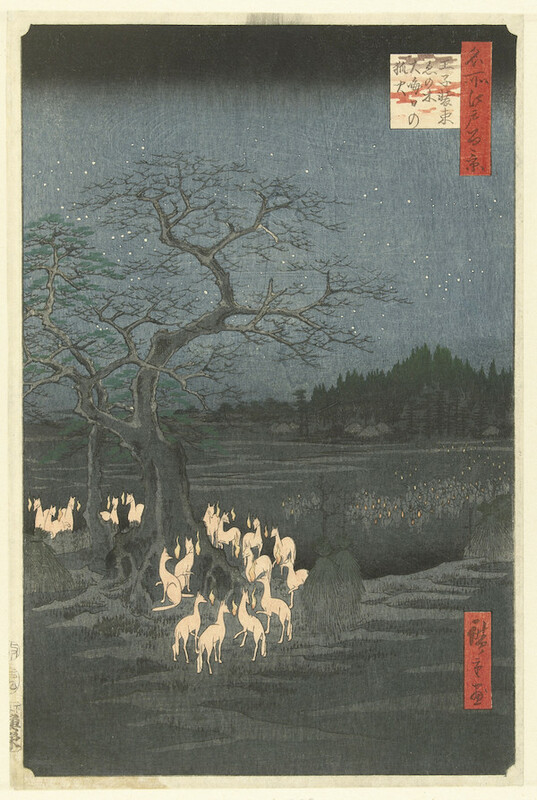 Hiroshige was born in 1797 to a samurai family in Edo (modern Tokyo). 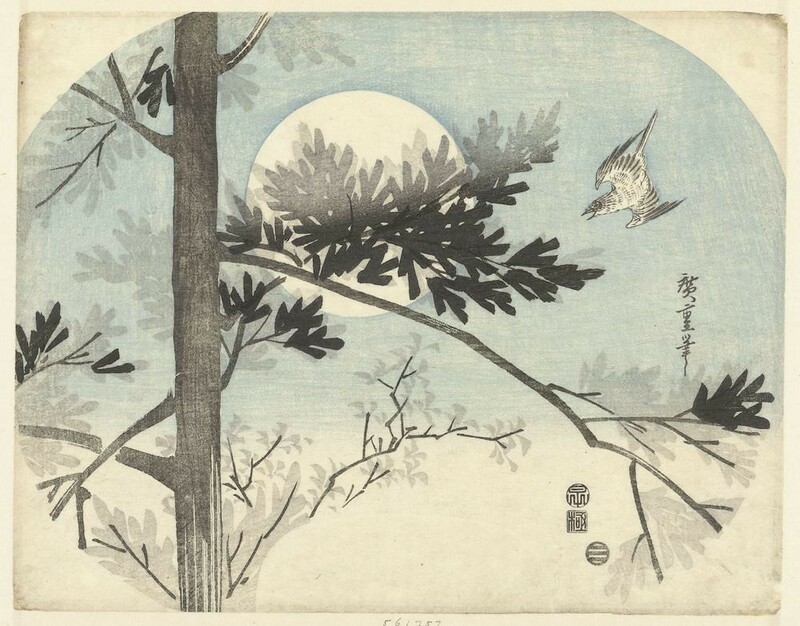 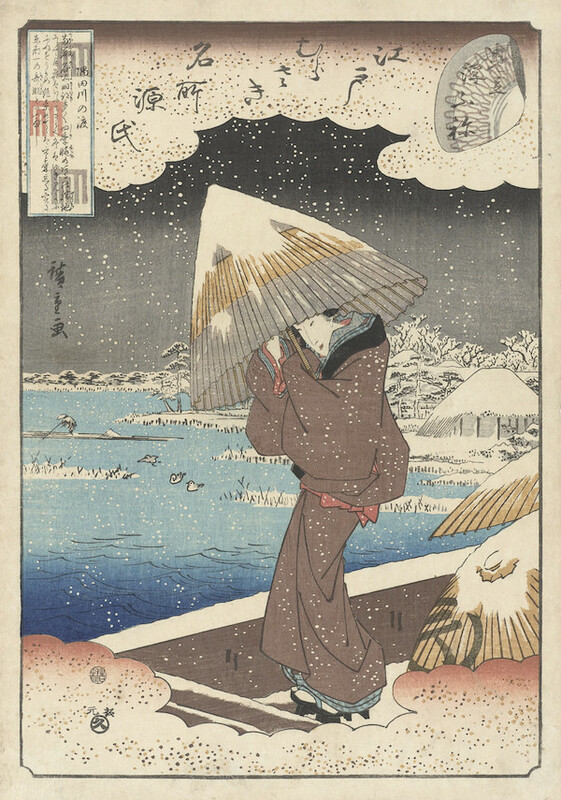 After his parents died, around the age of fourteen, Hiroshige began to take up painting and studied for several years under the artist Toyohiro. 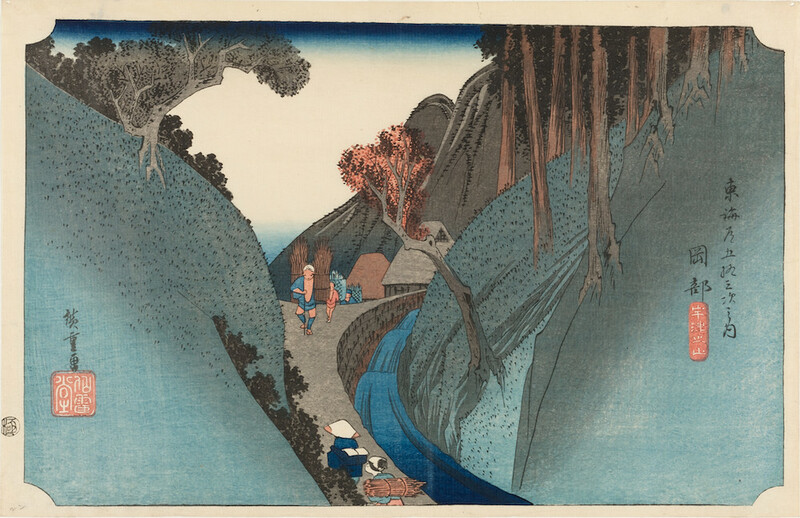 During this period he produced many works reflecting traditional ukiyo-e themes such as women and actors, but upon Toyohiro’s death in 1928 he underwent a pronounced shift toward the landscapes for which he is best known today, as well as bird and flower images. 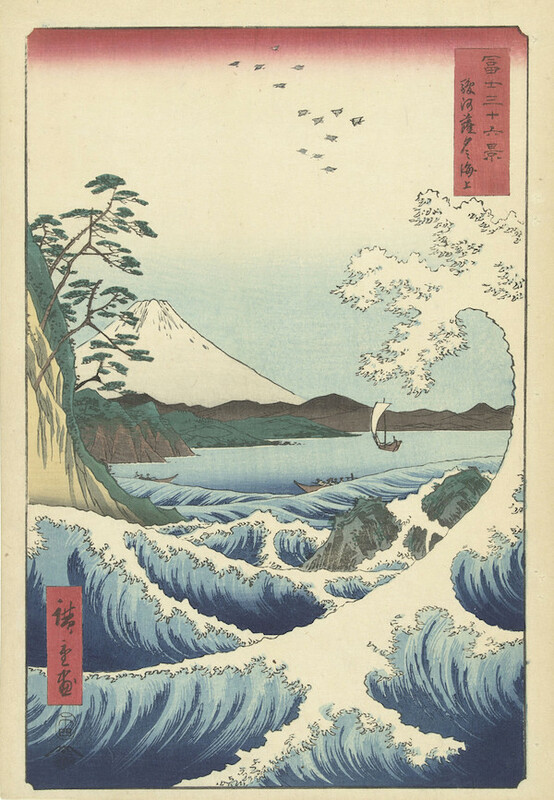 His most famous series include Famous Views of the Eastern Capital (1831), The Fifty-three Stations of the Tōkaidō (1833–1834), The Sixty-nine Stations of the Kisokaidō (1834–1842) and Thirty-six Views of Mount Fuji (1852–1858). 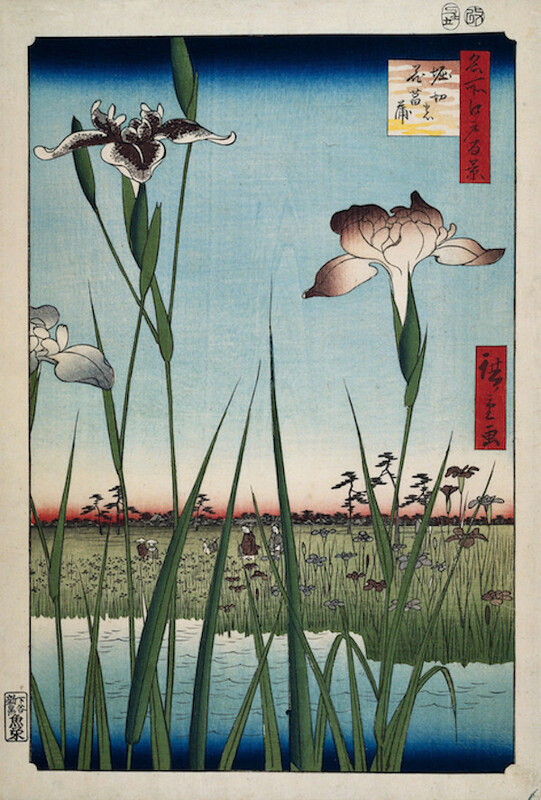 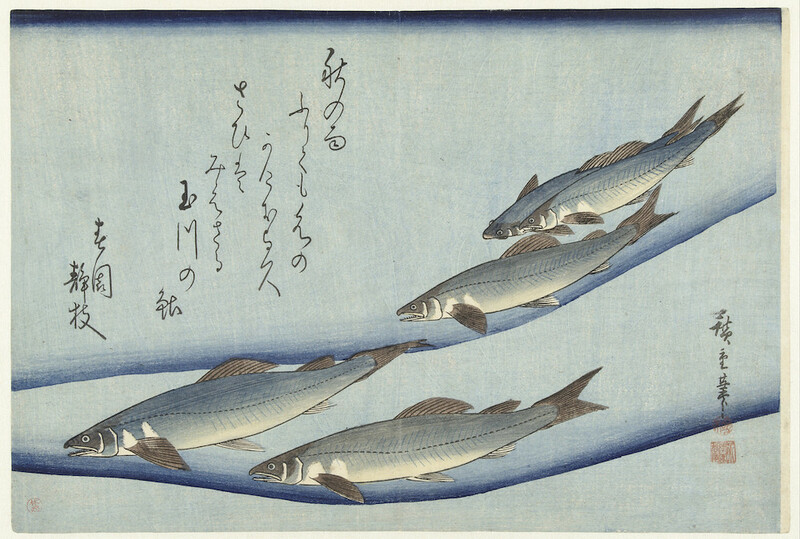 Across his lifetime Hiroshige is thought to have produced a colossal 8000 prints. 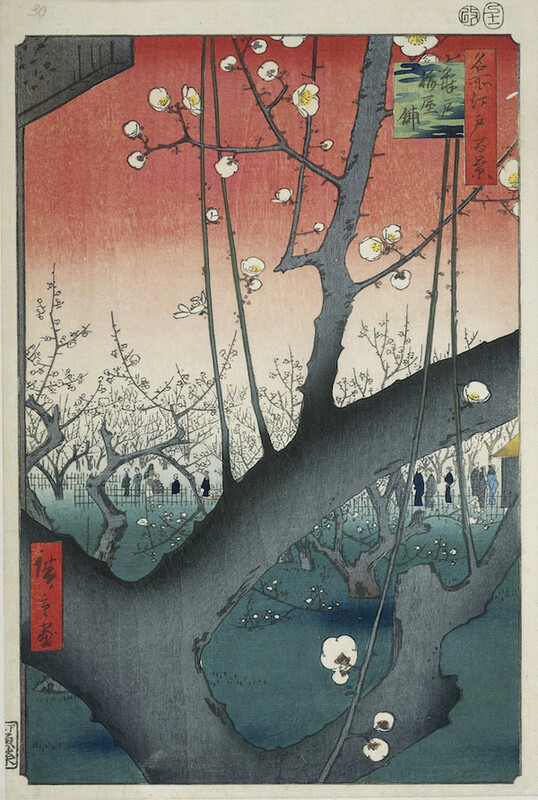 In this post we’ve gathered just a few highlights, from the fairly expansive collection housed at the Rijksmuseum in Amsterdam, and all of which are available to buy as high-quality prints in our online shop.